This is a custom EXP expansion module for the Xilinx Spartan 3A-DSP S3D1800A demo board. 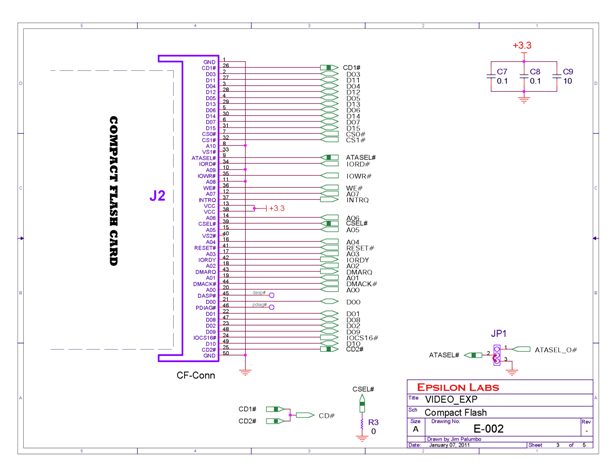 It basically provides the hardware interface to a type I or II Compact Flash card. 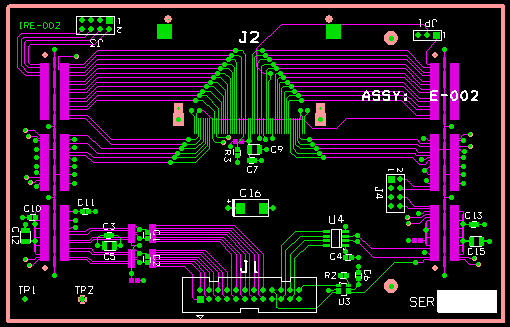 The board also includes a high speed LVDS interface (J1) for transmitting data to another board. The FPGA can read data from the CF card at up 100 Mbytes/sec continuous (UDMA mode 5) and output it through the LVDS interface. Originally used for Digital Video but can be used for any high speed waveform generation.